It is a truth universally acknowledged — in both the best of times and the worst of times — that while all sunny photographs are alike, each foggy photograph is foggy in its own way. Okay, overstatement. But I did manage to work in references to three of the great opening lines in literature. (For more, consider this article in The Telegraph). 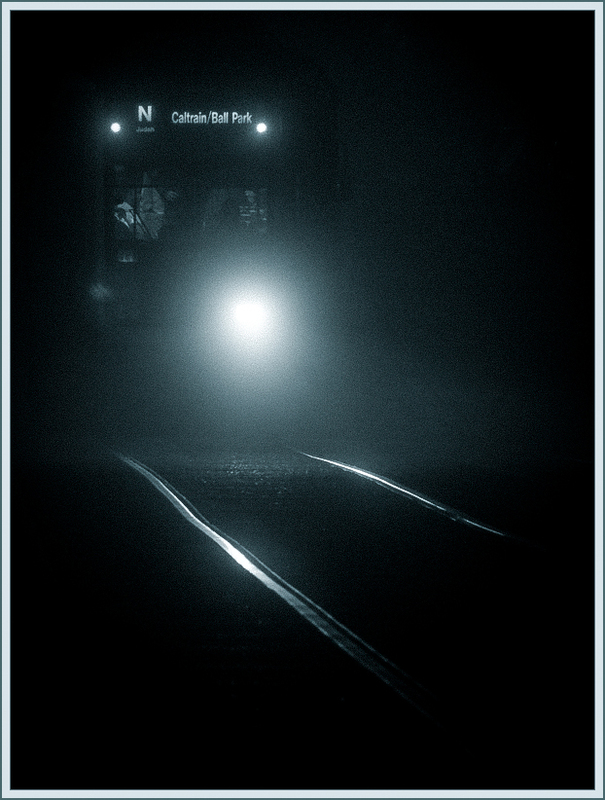 In the next few days I’ll be showcasing varieties of fog — most from recent work. 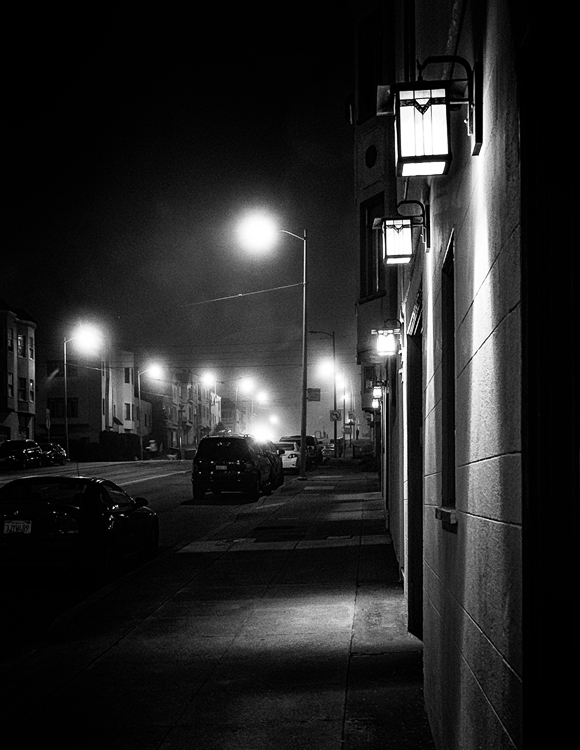 First: Noir Fog, from a night along Judah Street in San Francisco.